Run Netinstall. Select 'Boot Server Enabled' and enter IP address in the same range as your PC. Turn the router ON, and you should see it in the list on the left of the screen. 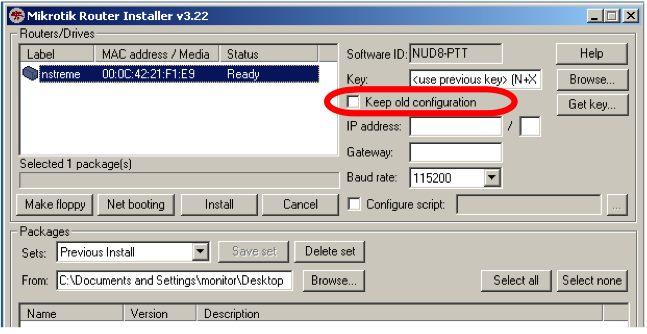 Now remove the tick 'Keep old configuration', click 'Browse' and open folder with individual RouterOS packets. Click 'Install' and when the process is over, pres 'Enter' on console, or 'Reboot' button.